February 13, 2019 cosimocreatesbuzz Brand Awareness for small business, content marketing, email marketing, Marketing, social media marketing, video marketing Comments Off on How To Implement Customer Relationship Management into Your Business? Customer relationship management is an important part of your everyday entrepreneurial job. But, it is something you will need to do it in the right way. It is not only the tool, or technology you can buy and solve all your problems. It is much more than that. As an entrepreneur, you will always need to be in contact with your customers. You want to ensure that everything your company is doing related to your customers is at the highest possible level. Also, you want to be sure they are satisfied because of your activities. You want to expand your business with new customers, contacting your potential customers. How can you do this? It seems like a simple task. But, in reality, it is not so simple. You need to do a lot of things with systematic approach if you want to succeed. Customer Relationship Management Definition – What is CRM? It is hard to have a definition that will cover everything related to customer relationship management. The term cover topics related to marketing, sales, and analytics. So, as a first when I want to describe to my clients what exactly customer relationship management means I use the word process. Yes, I want to give much broader description related to this term. Only in such a way we can cover everything that your company is doing related to customers. If you want to increase productivity at your workplace follow these ten steps to install process improvement system. Also, learn how you can create standard operating procedures to standardize your business processes. So, as a first thing, customer relationship management is a process inside your company. You are implementing this process to manage relationships with your customer better. That means that this process will have practices, procedures, strategies, and technologies. They will be used by your company to manage and analyze customer interactions and data in the period of the customer lifecycle. Interactions with customers as any type of contact you are making with them. This includes interactions before they become your customer until the end of your collaboration with them. Analyzing each interaction will give you insights about the results of your efforts related to the customer relationship. Improvement of the next interactions will ensure continuous improvement of the process in your company. 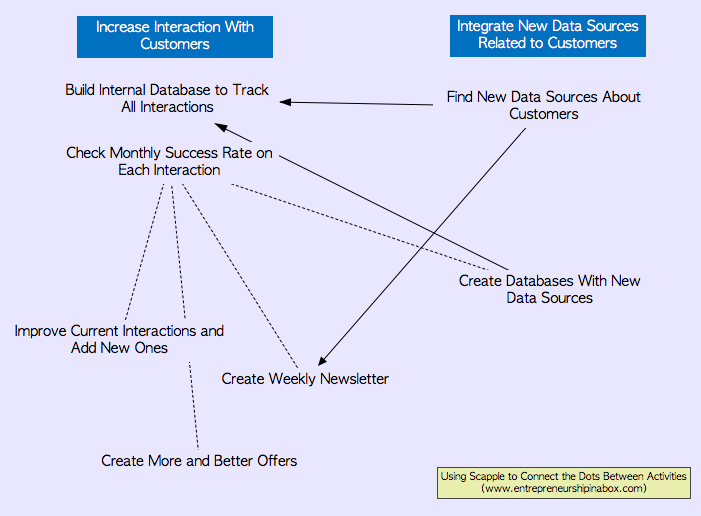 How you can continuously improve your relationship with your customers. 1. Who are my target customers? Always start with your target customers. You don’t want to lose your time in managing relations with customers who don’t matter for your business. From the starting point focus on your most important customers. They are persons who will help your business to make exponential growth. For example, you can say that your target customers are young persons who work for healthy companies. They are persons with more massive salaries that want to solve the specific problem that your company’s products solve. 2. What are my goals related to the relationship with them? Next, when you know your target customers think about the goals you want to achieve managing relationships with them. Is it sales growth? Or, is it retention improvement? Is it improved relationships? These are most important things you will need to translate into SMART goals. For example, the goals can be to improve customers satisfaction for 30%. 3. How can I achieve those goals? Now, it is much easier. Start brainstorming all things you will need to do if you want to achieve goals related to the relationship with your customers. In most of the cases, you will have two general activities when it comes to customer’s relationship management. They are interactions with customers and learning more about them from all possible available data. 4. How can I put in place the systematic approach to achieving those goals? When you know what you need to do to achieve your goals, you can start creating processes. These processes will shape your customer relationship management efforts in your company. Put all your activities on a piece of paper and start connecting the dots. The useful tool here can be Scapple app. Doing this you will come to more ideas about how to improve all things related to the better customer relationship management system in your company. 5. How can I continuously improve relationships with my customers? And the last question you will need to answer here is related to continuous improvement. Because you already have your process maps related to your customer relationship management system, think about including checking points (as quality control and feedbacks) that will enable continuous improvement. When you have the right answers to these questions, you will need to create a plan for your customer relationship management. The plan doesn’t need to be something complex written on 50 pages. It can be the list with the bullet points you will need to implement in the next period. To succeed in developing you plan use following business plan mind map and be sure that you will measure the implementation results. Now, you have a strategy for customer relationship management system you are trying to integrate inside your company. The next question is what tools you need to use to succeed in the implementation of your strategy? One of the biggest mistakes I have seen entrepreneurs make is when their whole focus is on the tools instead of focusing on the strategy. Why? Simply, because they think that if they find the tool (technology), they will succeed. But, in my practice, it is not true. It is not true because different businesses have different customers. Even in the same market or industry, they have different customers. They have different needs, wants, habits, etc. In such a case you will always need to do something different from your competition. 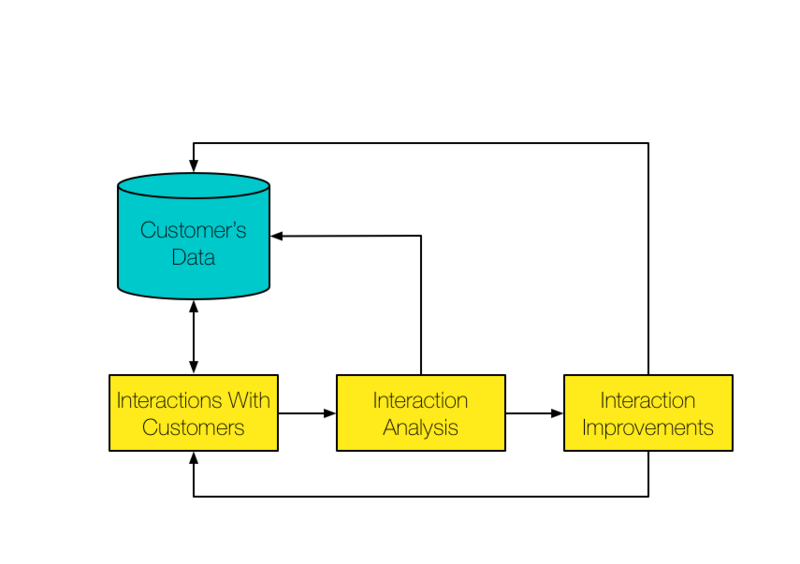 As I already mentioned at the beginning of this post, customer relationship management will need to focus on data collection, interactions with customers, analyzing of each interaction and improvement of the next interactions. So, as you can see you don’t need some specific tool to implement this in your company. You can use what you already have in many cases as I have already explained how to use Gmail as a CRM tool when it comes to collect contact details and make notes about interactions with each of the contacts. You can also use Evernote. For example, if you don’t have too many customers, you can create a notebook related to customer relationship management. Each note will cover all data associated with the specific customer, interactions with them and results from each of that interaction. 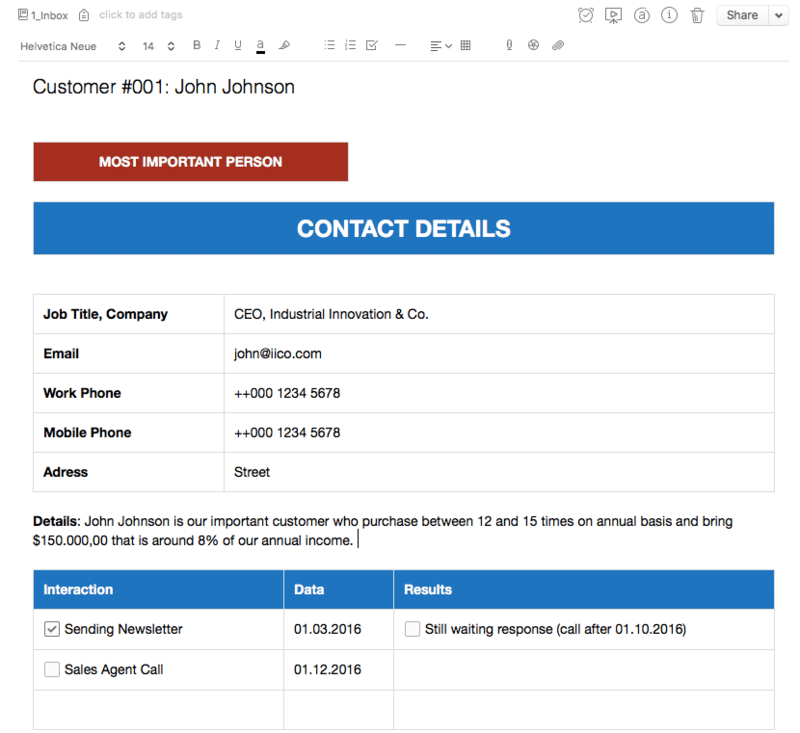 You can also create one note as a table of contents note where all your note titles with customers will be linked from that one note. Probably I will write more about Evernote as a CRM tool in some of the next posts. For analytics purposes, you can use Excel or any other spreadsheet tool. You only need something that can give you possibilities to calculate basic statistics with data collected as a part of your customer relationship management efforts.